WinPatrol is a must-have program for Windows operating systems. The program will bark or display a dialog box to alert you of changes made in your computer, with or without your consent. Modifications in critical areas in Windows is normal but not until you are aware of the changes or have provided your consent. Most antivirus programs do not alert anymore on changes made to the computer by legitimate and verified software. This is unfortunate because some legitimate software is bundled with unwanted and unnecessary software (aka piggybacking). The good news is there is WinPatrol to depend on. 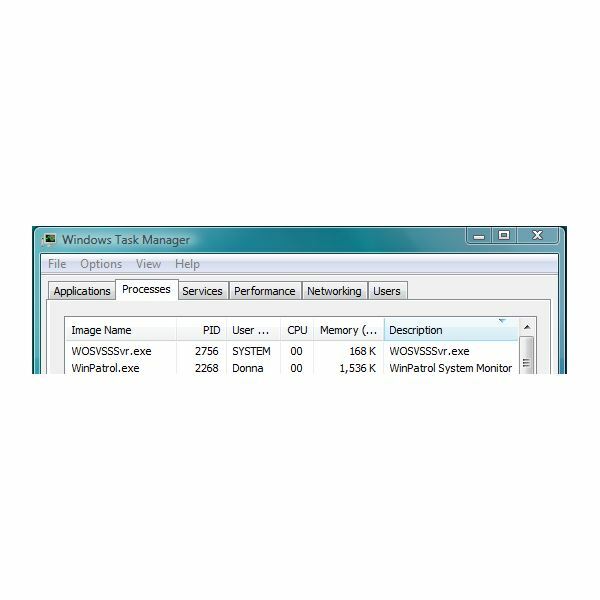 WinPatrol takes a snapshot of your computer settings and informs you of any changes. Below is my WinPatrol 2011 review, the latest version of Scotty the watch dog. The setup file of WinPatrol is only 779 KB which is quite small compared to security monitor programs that are bundled with unnecessary installers. WinPatrol's install process is quick and easy. You won't even have to worry whether there is a hidden installer on it because it has a clean installer. The program runs on 32-bit editions of Windows XP, Vista and Windows 7. Old and unsupported versions of Windows may also install WinPatrol, but not the 2011 edition. The user interface of WinPatrol is perfect since all tabs clearly show installed items in Windows, in addition to available setting for its security monitor to use. The UI surface of the setting is also neat and should not confuse users. Alerts on changes made to the computer's startup items, services, scheduled tasks, home and search pages, zero-day alerts, IE helpers, cookies, Windows Update setting and hosts file. Delayed start – an option to delay in starting applications that auto-load during Windows startup. File type association monitoring and option to restore. Note that some features of WinPatrol are only available to PLUS users such as context menu PLUS information of files, managing ActiveX, registry monitoring, real-time monitoring for changes on the system and access to PLUS database. WinPatrol is light to use. It will only use 1.5 MB of memory while monitoring the computer for any changes. It's fast in alerting for changes especially if you are going to use the Plus edition since it has a real-time monitor feature. 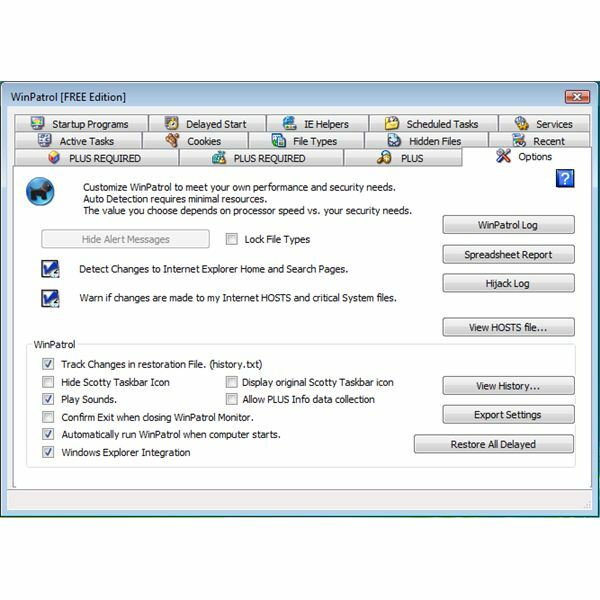 Free users of WinPatrol 2011 can adjust the time to monitor or alert from 2 minutes to 1 minute. I've been using WinPatrol for years and it has proven to be a helpful and useful program that runs without issue with antivirus and firewall programs. Any changes in Windows Update settings are also monitored if you set it to automatic updates. WinPatrol 2011 for Windows is free for personal use! What else can we say? Paid edition only costs $29.95 with unlimited use for all the personal computers that you own. WinPatrol is always supported which means program fixes and upgrades are free. WinPatrol is highly recommended to Windows users that want to control what is modified or added in their Windows settings. It's easy to use and it's free. Image credit: Screenshot taken by the author, courtesy of WinPatrol.